What to pay attention to when planning a kitchen? These days a kitchen is more than simply a place to prepare food, cook, and clean. Kitchens are domestic hubs, central gathering points for family and friends to chat, dine, and socialise. The kitchen has become an additional living space within most dwellings, exuding comfort, style, and sophistication. 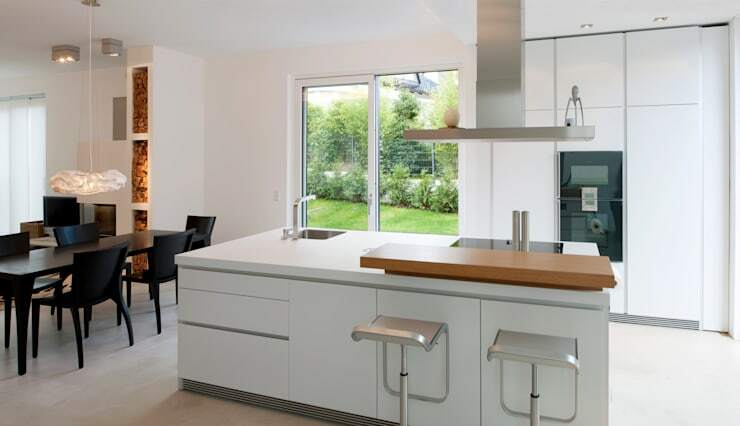 As well as high-tech appliances, gadgets, and advanced materials, cooking spaces these days are also areas that need to be functional and comfortable, inviting the occupant to relax while preparing meals and snacks. Before your start fantasizing about all of the fabulous inclusions your new kitchen might include, it is important to consider the practicalities of your new cooking space. Today we will be looking at the basics to get you started. 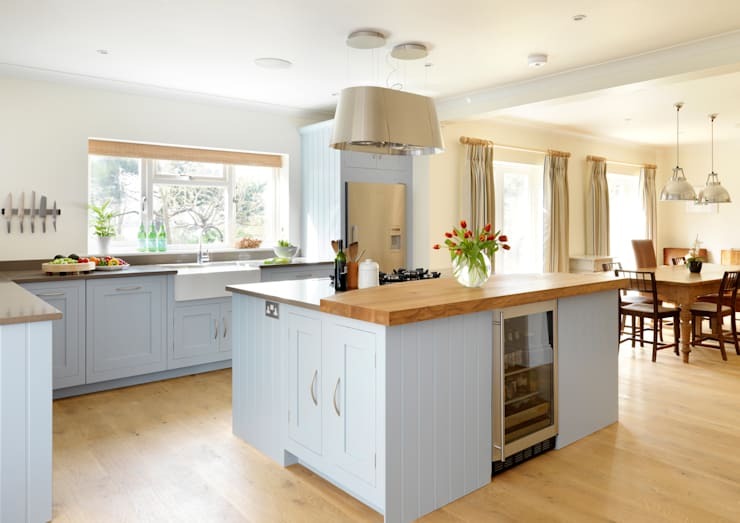 Layout, equipment, scheduling and construction, colour scheme, flooring, and furniture will be our starting point, aimed at preparing you for your own kitchen renovation, refurbishment, or rebuild. Take a peek at the gorgeous kitchens below, and obtain a little inspiration to update your space today! The first thing you will want to do when you begin planning a kitchen is to ensure you are organised. Organisation will mean the difference between a kitchen remodel that does smoothly, and one that doesn’t. But what does organisation mean, and what can you do to safeguard against a disorganised kitchen plan? Grab that pen and paper and start writing lists. Lists are one of the best ways to keep track of everything you have going on during the kitchen planning process. 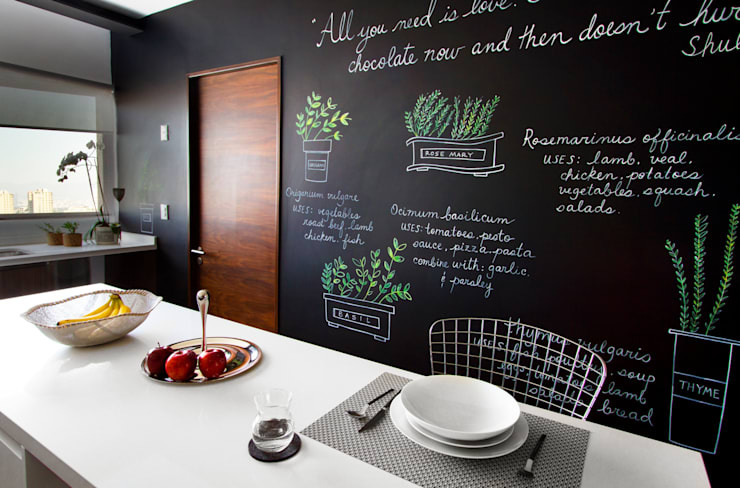 Think about all of the things you would like in your new kitchen and jot them down on paper. Additionally, making a floorplan of the areas is a great way to see what should be included and excluded in the final plan. Next up you will want to collect imagery of kitchens you like. These might be found in magazines or online, and can help communicate you design ideas to the builder. Lastly, you should consider and organise your budget. Budgets are often the most difficult part of kitchen planning, and if not organised can result in overspending and frustration. Speak to a professional during this stage as budget planning can be difficult for the uninitiated. Probably the most exciting phase of the planning is deciding what equipment and appliances you want in your new kitchen. However, this can also be the easiest way to go over-budget. Everyone dreams of a well-equipped kitchen, and these days there exists a plethora of great accessories and accoutrements. Consider large appliances first. These include stovetops, dishwashers, cookers, exhaust fans, fridges, and ovens. Secondly, consider your smaller appliances such as blenders, mixers, microwaves, and coffee machines. Finally, if you want to keep your home eco-friendly, choose environmentally helpful appliances that reduce energy usage, and often come with a star-rating. Walls are often something that is forgotten in the overall design. With almost endless options, consider checking out online the different possibilities and designs. Think about your colour scheme, palette, and textures. Tiles, glass, paint, and veneer are all options than can cover your walls and help to implement a personal touch in your cooking space. 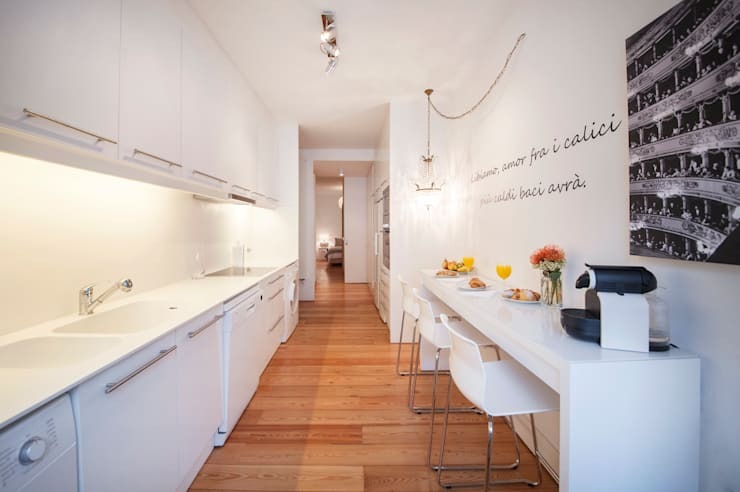 If the walls are important in a kitchen, then the floors are even more important! Flooring can mean the difference between a practical and easy-care space, and a domestic nightmare. As the kitchen is one of the busiest spaces in a home, it is imperative you choose something that can handle the excessive foot traffic. There are plenty of options for different flooring including concrete, tiles, timber, laminate, vinyl, stone, and more. Pick your floor to suit your budget and style, remembering the most practical choice might not be your first choice. Think about style, size, pattern, texture, colour, and of course maintenance. Last, but certainly not least is the dining space. The dining area is the space that will provide a gathering spot for family and friends to enjoy everything that has been prepared in the kitchen. The choice of furniture will greatly impact this space and by choosing something stylish and practical, you will ensure maximum efficiency for your home. 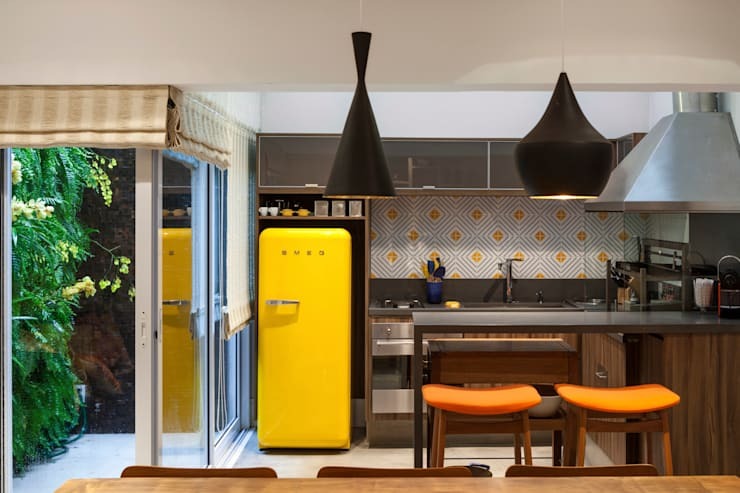 As with many elements in the planning and design of your new kitchen, different styles will affect the overall ambience and atmosphere of the space. As well as large pieces of furniture such as chairs and tables, consider artwork, photographs, plants and textiles to enhance the room. We hope this Ideabook gave you a few pointers and things to consider as you plan your new kitchen. If you would like to read more check out: Modern kitchen must-haves. Essentially, kitchen planning is a multi-faceted undertaking that requires organisation, and careful implementation of elements. Choosing a theme is extremely important, as it will give a sense of cohesion and completeness to the space. Additionally, consider your budget and maintenance requirements, which will help to create a practical and effective new cooking space.